upcoming organization, Agri Freeze Foods is one of India's leading processors & exporters of Freeze Dried Fruits, Vegetables, Dairy Products, Mushrooms, Fish etc. 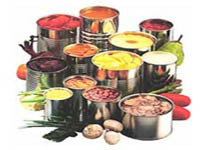 Agri Freeze Foods specializes in delivering high quality & economical range of freeze dried food products. Agri Freeze Foods creates its products in a single process that allows long shelf life and permits food products with small particulates to be created to the highest quality standards. Our role is to have new ideas ready to hit customers plates at precisely the right time to meet market needs. 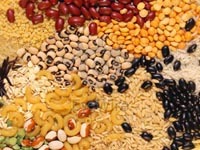 his Page contains listings of manufacturers, exporters & wholesale suppliers of Food Grains for natural diet. Find here valuable database of companies engaged in the field of food grains production and supply to our people across the world. Today we have a wide range of food grains available in the market and they can be easily available to you through the enlisted manufacturers and suppliers on this online directory. Our business directory containing comprehensive database of manufacturer exporter and wholesale supplier of Cereal, rice, wheat, Soybean, pulses, maize, millet, oats exporter database. Most of the packing is designed to be aesthetically pleasing while retaining the freshness of produce for the maximum time. 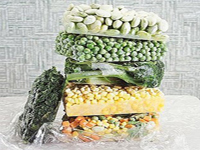 Packing as specified by the Indian Institute of Packing exceeds the requirements of international standards and is used and takes into consideration the respiration and ripening parameters of individual fruits and vegetables. Selection is an evolutionary process and new methods are constantly emerging to improve quality and freshness in fruits. We are professionally managed and value based business enterprise specialized in exporting the best produce of Indian Fruits and Indian Vegetables from the southern basin of India also called the Sun Agro Links , a veritable produce bowl of India.